Hello and welcome on SecretofMana.fr.fm, the Secret of Mana tribute! SecretofMana.fr.fm is a FAN based website. Its aim is to share with you RPG world and incitate you to buy original games (and not give them you for free!!). All marks are copyrighted and belongs to their authors. 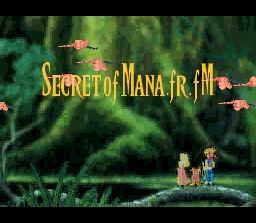 As its name indicates it, SecretofMana.fr.fm is a site which relates on Secret of Mana but also to other fantastic RPG like Star Ocean, Tales of Phantasia, Final Fantasy 1 to 6, Live a Live, Bahamut Lagoon, Treasure Hunter G, Seiken Densetsu 3 (Secret of Mana 2) or Secret of Evermore and Magical Vacation. You can download the ROMS of these games which, for some, are very rare. 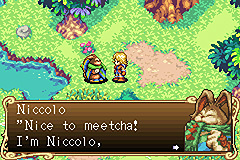 Most of Japanese ROMS have been translated to English: Live a Live, Treasure Hunter G, Star Ocean or Tales of Phantasia. A lot of people waited for it and someof them didn't expected it anymore. Here's the very expected MANA BOOK (in French) which contains the full story, the bosses, weapons and a lot of original Artworks of Secret of Mana. Enjoy this wonderful book! Ok the download section is nearly complete and ready. But before that you have to register to The SecretofMana.fr.fm files: click here to go there. Once registered, you'll soon be able to download files. 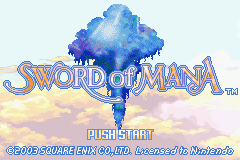 - Finally, after months of waiting, SecretofMana.fr.fm proudly presents, a few days to you before the official release, the ROM of Sword of Mana US! - Visit the new video games shop and get a free 7.62€ voucher. - do not hesitate and take your free voucher of 7.62€ over 2xmoinscher.com to make your Xmas gifts! 20/09/03: Nintendo officially announced the release of Sword of Mana in America for the 1st December 2003. A new contest on SecretofMana.fr.fm: make a SPC synth. Lycos ad frames problem solved for the index page. 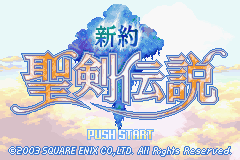 28/08/03: One day before the officiel release, SecretofMana.fr.fm proudly presents, the Shinyaku Seiken Densetsu ROM! A HIT for any RPG fan! 14/08/03: SecretofMana.fr.fm has now a new Forum. This new forum has a lot of new features like a calendar to check easily the last news! No need for former members to register again! Sword of Mana will be available in Japan on 29th August so wait a few days before being able to play it! 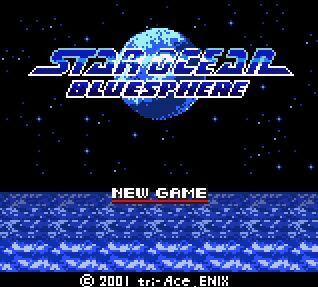 01/06/03: Discover a wondeful game for your GBC: Star Ocean Bluesphere! You can now download it on the Game Boy ROMS page. 18/05/03: A lot of news this week. First, E3 (Electronic Entertainment Exposition) which took place from May 13th to 16th 2003 in Los Angeles: Nintendo revealed new Sword of Mana (Shinyaku Seiken Densetsu) images. Discover these images on this game's page. SNESAmp 3.01a is now ready and can be downloaded on the different OST pages. It proposes a sound better than the SNES! 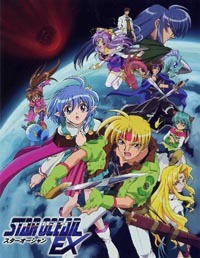 The Star Ocean forum is now opened! 04/05/03: Update your old Windows 9x with a new look for your folders! Make your folders look like Shinyaku Seiken Densetsu! Find out more on the Secret of Mana > Customize your PC page. 20/04/03: 2nd part of the Secret of Mana characters page. A complete report of this summer event: Shinyaku Seiken Densetsu! 23/03/03: 2 new pages are now opened: Secret of Mana characters and Secret of Mana weapons. 16/03/03: A new dscussion place is now opened on the Frorum: Neko's! Come and discuss with us! FAN ART CONTEST is still running and drawings were sent to SecretofMana.fr.fm so don't wait a minute and make YOUR fan art! 02/03/03: 2 pages added: Secret of Mana Items and Secret of Mana magics! Also Final Fantasy series and Seiken Densetsu series updated and some corrections have been made! A FAQ answers the questions frequently asked. 16/02/03: You can now discover the future content of SecreofMana.fr.fm! There're a lot of pages under construction but this new designing will enhance the updates so wait and be patient! Join the newsletter to know when these pages will be updated. 09/02/03: Discover the new CHAT! Very easy to use and fast! 04/02/03: Discover a new ROM, Terranigma in the SNES ROMS page. That was one year ago... SecretofMana.fr.fm opened last year. Discover or remember what SecretofMana.fr.fm was: http://www.SecretofMana.fr.fm/retro! 01/01/03: HAPPY NEW YEAR! This year will be rich and a lots of updates are waiting you! 30/12/02: A new place is ready to welcome you on the Forum: the Market Place! It's a place where you can buy or sell RPG! This service is free! Game Boy: Zelda Oracle of Ages, Zelda Oracles of Seasons and Mystic Quest in French. Super Nintendo: Thanks to Terminus Traduction, Rudora No Hirou in French (you'll have to learn French)! That's all folks. Merry Christmas! 19/12/02: To celebrate the new Seiken Densetsu episode, Seiken Densetsu: New Testament, SecretofMana.fr.fm has now a new HOMEPAGE. More details on this new game soon! 15/12/02: New link: Moogles.fr.st (French links page). SecretofMana.fr.fm is now fighting against spam supporting C.A.S (Anti Spam organisation). 08/12/02: All is now fixed! New ROM: Alcahest! 26/11/02: All links are repaired! A new newsletter system is now installed! Ads are now on this site! Suscribe to Ebay, it's free! 21/11/02: From this morning, all is going wrong! Free suddently removed SecretofMana.fr.fm and a 403 error displays! Fortunately, I fixed forwardings (www.SecretofMana.fr.fm, www.seikendensetsu.fr.fm & flammy.tk). Only ROMS which were on Free are temporarly unavailable. If you know how I could have a free web hosting without ads, that interests me! A new Forum is now opened and I invite you to join us and to react! SecretofMana.fr.fm Chat (Asterochat) is opened! Discover The Battle of Olympus, one of the best NES RPG. Download it now on Nintendo (NES) ROMS page. Discover the best PlayStation emulators on the new PlayStation emulators page. FAN ART CONTEST awaits you! See more here! If you love Secret of Mana, discover unrealeased Secret of Mana icons and a ScreenMate (thanks to Paul Reynolds) on the new Customize your PC page; click here! Legend of Mana has its updates: discover Legend of Mana MP3 music! Click here to download them! 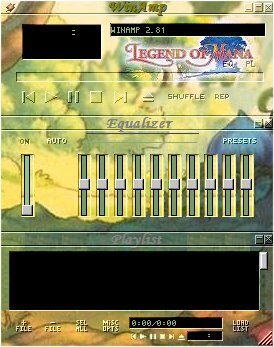 To finish dicover a new Legend of Mana Skin for Winamp (thanks to Paul! ); click here to see more! Discover the new SecretofMana.fr.fm CHAT entirely on the site what will avoid certain nuisances met with the old one! Nintendo created with 4 Square people who created Seiken Densetsu Series Brownie Brown, a new company! 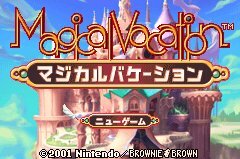 They made a new game for Game Boy Advance named Magical Vacation and guess what? You can download it now on Game Boy Advance ROMS section! Final Fantasy Tactics will be edited for Game Boy Advance!!! On SecretofMana.fr.fm, the Links page opened. The other great event is the new Forum! You can configure it and even choose your language! Have a look! Two week ago, 2 pages opened: RPG images and PlayStation RPG's OST with Final Fantasy 7 & IX and Legend of Mana. Still new, Legend of Mana (Seiken Densetsu 4) section. You'll find music, test, images and much more. Also Secret of Mana test: see what makes this game wonderful. The new forum opened! It's much better than the old one: you can configure it as you wish, set your English as your default language, use avatar, private mailbox and much more! If you have an error message, don't worry, it's normal. Discover the new SecretofMana.fr.fm CHAT entirely on the site what will avoid certain nuisances met with the old one! 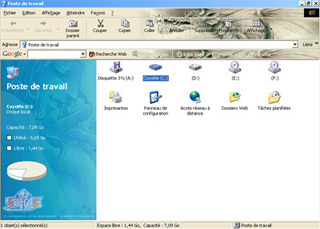 Chat has also its home page with a French help guide with many useful informations as chatting hours. Chat allows live discuss! Newsletter is free and give you news of this site! If you wonder if it's good to subscribe because you think I'm going to give your e-mail adress to advertisers, don't worry; I won't give any e-mail adresses to these people. If you still hesitate, newsletter is in HTML format what means with nice colors! In What's new you'll find old newsletters. That's all folks! Have fun!